By admin September 21, 2018 Brand New, Featured, Latest News, Live! It was the only show that Nick wrote between 2001 and 2008 that made any money in Edinburgh. It made £50. 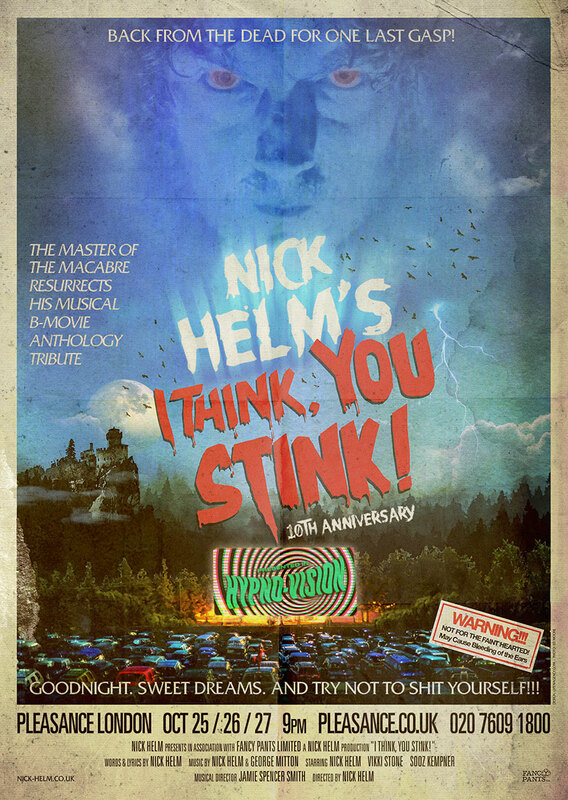 Now, a whole decade later, Nick Helm will drag you on a journey to the very depths of Hell and back as he digs up the still rotting remains of his magnum opus and resurrects it for one final gasp of air for a special three-night performance of his devilishly macabre musical comedy for your ghoulish delight. Take your seat! Say your prayers!! AND try not to shityourself!!! IT IS ADVISED THAT YOU PUT YOUR PERSONAL AFFAIRS IN ORDER BEFORE SEEING THIS SHOW!! !